Recently we were able to sit down with writer and content producer, Whitney Hoffman, a prominent voice in new media who, for the last several years, has been leading her own revolution in the field of education. 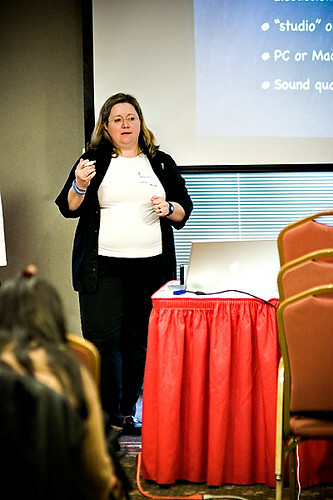 Inspired in large part by her children’s own experience with learning, Whitney has used multiple platforms – including books, her podcast, the LD podcast, and personal advocacy – to create and pursue a transformative dialogue centered around new instructional philosophies and methodologies within the educational system. The core of your revolution lies in the world of education, specifically addressing learning disabilities/differences from both the student and teacher perspective. How did you get started on this path? What were you seeing in the field of education that you knew had to change? Like any great revolution, it all starts at home. I saw a problem trying to first of all, understand how to help my own son, who had some hearing and speech problems early on, and then noticed how many other parents were having this same problem. Each parent had their own tale of trying to navigate a system without any map, and it struck me as an unnecessary road we were all traveling. If we could share information, we could eliminate a lot of the pain and feeling alone, as well as make the road all that much easier for others to travel. That’s really where the idea for the LD Podcast came from- trying to help parents understand their children, get the best help for them possible, avoid blind turns, and get the best information possible from the experts. What I saw was a lot of people trying to crack the same problem, but not sharing information or finding the common threads. For example, we know so much more about how the brain works and processes information, from functional MRI’s and more, yet very little of that is being translated into the classroom. Even the research that’s being done doesn’t often make it into “best practices” in the classroom. A prime example of that is that Orton Gillingham reading. This program has been helping people who have struggled to learn how to read- adults and kids alike- for over 30 years. Yet it is basically taught at LD schools, but not used in the general classroom, even though it would work for all kids. If we know what works, why isn’t every teacher taught this in college and why hasn’t this become a standard rather than a prescription offered to the student/patient after they are sick? Why isn’t it a vitamin given to prevent ever getting sick at all? I still don’t get why programs like Orton and Wilson (another similar program with the same basic roots) reading aren’t the standard for reading instruction everywhere, but you can bet I’m willing to tell people at every turn that if the law says we need to use special science-tested response to intervention methods when kids are starting to fail, we should make these “intervention” methods standard for every kid, and not wait to use them as a band-aid after disaster strikes. That’s just stupid, and that’s worth talking about and fighting about every day. You are extremely active in the world of new media. How does new media relate to or affect your work in education? Is there a natural convergence between the two? In order to spread the word about any issue, you need a platform. I started out by trying to write a book, and was told that while it looked good, I had not basis for expertise other than being a well-read mom. This made me very frustrated and mad – having a JD and a BA in Developmental biology was not suitable credentials for raising my own kids. So I started a podcast and started to interview folks, taking a cue from Terry Gross and Fresh Air, after discovering podcasting with my first iPod back in 2004/2005. I thought – I can do that, too. As a result, I went to the first Podcamp Boston, learned a ton and met a lot of other people on their own passion journey, and we all got better together. We learned how blogs, search, and marketing go hand in hand, we all joined Twitter around the same period of time, joined Facebook on opening day, and grew up, so to speak, as these channels were developed and grew. It became an intimate part of how we worked on our projects, and began helping others do the same through Podcamp. Do you find that there is resistance within the field of education to New Media and its correlates? This is the question of the day, right? There are some teachers, like those at Educon, who are trying to make a difference and use new media tools every day to make education more interactive and engaging for their students. There are others who think pencils are newfangled technology…and wouldn’t dream of answering emails after school hours, even if simple things like answering a kid’s question would help the kid and the teacher from having to reteach material the next day. I think many teachers aren’t comfortable with technology in the same way people in other majors have been, and as a result, have not been keeping up, and they are worried about all the evils and do not balance it against the advantages. They also see it as taking time they don’t feel they have, but aren’t clear of the direct benefits. For example, some teachers might think a classroom website sounds like a good idea, but fear the ramp up and work that goes into making the transition. It’s kind of like trying to get your grandma to transition to a push button phone, let alone try a computer and email. They may see the purpose, but it would be like trying to get me to learn how to fix my car- I see a value, but I think it’s beyond my current skill set and I’m not sure that just paying to make the problem go away isn’t more efficient than taking on the job myself. 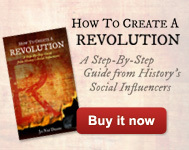 What or who inspires you in your revolution? My first response is, of course, my own children and all the kids I know. I also sit on a couple of committees for our School District, so all the teachers and administrators are on that list as well. Things are changing so fast and the disparity between what kids are experiencing in school and in the real world, just in terms of collaboration and communication are starting to cause a real cultural divide to how schools are run and how relevant they are in student’s lives. Teachers, parents and kids all have to work together to make things different, and not hoping the digital and mobile revolutions are some sort of fad. Because my kids have LD and have needed to move to typing over handwriting for all their work, we’ve lead the way – my kids were the first in the district to use iPads for their school work, but many others have since followed. I think it would have been a longer road had we not been there, showing folks what could be done, and that kids could handle the responsibility. Each of these small changes and victories help open the minds of everyone to what is possible, and that’s what I really try to accomplish every day. It’s about empowering teachers, kids and parents to work together to make education as wonderful and exciting as possible. After all, you need to make history as engaging as, say, a video game, it can be done – just look at games like Civilization. We just need to get teachers to think about what they teach with a little more emphasis on marketing, making what they teach as interesting and exciting (and valuable) as any product. It sounds like a stretch, but maybe if you don’t know why what you’re teaching is important, and can’t make the case for why it’s important to yourself or your students, you should look at changing what you’re teaching and why. Trying to make a difference in education where problems are wide-spread and systemic must feel like an uphill battle, at times. How do you keep yourself and your revolution going? 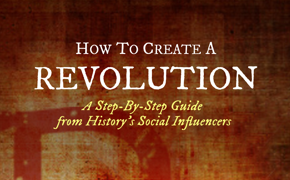 What advice would you have for someone facing what seems like an uphill battle in their own revolution? It can be an uphill battle at times, but the small victories keep you going. And I honestly feel like I have to put my energy where my mouth is – sharing things online, writing books – it’s all part of working towards change. It’s volunteering once a week to teach a 6-week class on podcasting at an after school program, or sitting on the tech and professional development committees for my school district, running Podcamp, or teaching teachers about new media that moves the needle- it’s showing people that it’s more than theory and nice words, but it’s real and meaningful change that they can effect. Schools have a problem right now, in that teachers as “union” employees are often treated not as professionals, but worker bees. But we ask them to be essentially substitute parents and nurture our children for 8 hours a day. I get the problems with money, collective bargaining and the like, but we need teachers to be learners and students themselves as well as teachers. Unless everyone in the system engages to make things better and more relevant, our kids will be continually disaffected, turned off and under prepared for an increasingly competitive world. I think if we can keep the higher purpose in mind – the 21st century skills of collaboration, sharing, communication, creativity and critical thinking – it becomes easier to make decisions about teaching our kids to implement the lessons learned in class in more project-based learning, making meaning, and then abstracting out templates to apply in novel situations. Without looking for deeper knowledge, and just concentrating on standardized tests which reward recognizing the right answer over knowing why an answer is right or important, we’re setting ourselves up in the short and long term for disaster. The rapidly changing world needs critical thinking and problem solvers over encyclopedias, and we need to acknowledge that and have our schools reflect that core belief. Every investment in trying to help schools, teachers, students and more is well worth it, because we are creating a future. And sometimes, just being an adult who cares and wants to mentor kids is what those kids need more than anything else- someone who cares- and that’s something all of us can accomplish. Whitney Hoffman is a mother, an author, and a consultant who educates corporations, organizations and schools in the ways of social media. You can read her blog at WhitneyHoffman.com and purchase about her book Differentiated Instruction Book of Lists here.